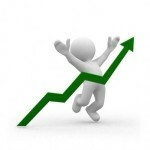 To monetize your own website, you must have good visitors’ traffic. On th e Internet and in our articles, you can find much useful information about virtual promotion techniques and marketing strategies. But you will never be successful, if your web page is created wrongly. When creating a website, you must perform all the features that form a base for success. When you think about your web page – focus on future financial income, as it’s the only way to the top. Everything starts from the plan: your first step in website creating should be a checklist for on-page SEO optimization. What is On-page SEO checklist and how does it work? First of all, what web developers and webmasters do before starting process is a page checker constructing. This is a list of descriptions for website core. This information is important, because any website should be well optimized in order to have good ranking and high traffic in future. 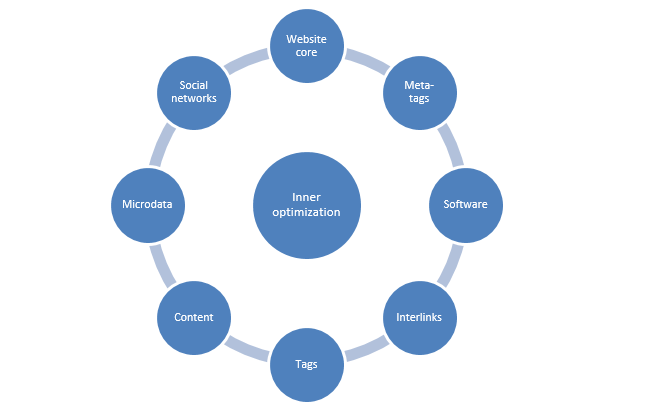 It means that all the inner pages should have well optimized content, codes, meta-tags etc. If all websites features have correct optimization, this web page has good chances to be promoted by search requests. This is the best way to increase sites ranking in Google. But don’t forget that promotion strategy has many components. If you want to get success, you need to utilize all of them. You can buy many backlinks and PR publications on the web, but your site will never get good traffic, if you have bad-quality inner optimization. To provide website with high perspectives of success, first of all, you should create check list for inner optimization. In this article we explain what positions should present on the on-page SEO check list. 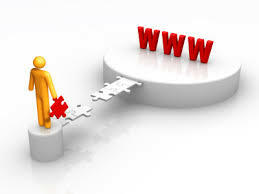 These points always stay in the plans of successful webmasters and website developers. As they always say, check list is the best protection from ban list. Optimization is a website’s availability for search engines and visitors. The fist what you must do is to optimize the features of inner web pages. Your administration system must have correct functions with no errors. Do not install excess plugins. All the websites options should be active and in use. In the following information, we describe basic features that must be correctly optimized on your page. A page should be useful for your visitors. One of the important things is a website design. All menus should be easy and clear to understand. If you have information portal or online shop, we recommend you to make a map. Website design should be correct and available for the browsers (Windows, Apple and Android platforms). Mobile version will give you more points. Please, pay attention if your web resource takes too much time to load: search engines will downgrade ranking of your page. 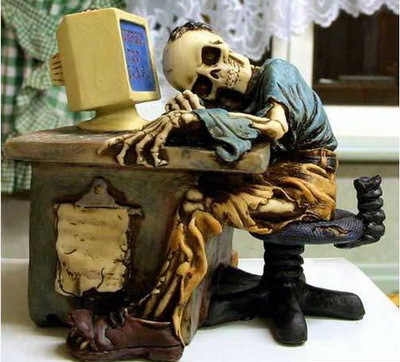 You should check your website code: normally, it takes no more than 3 seconds for webpage to load. Many webmasters and SEO specialists try to outwit search engines in a struggle for success. To get this goal, they install specific plugins, scripts and software. All of these will not work if your websites features are concentrated only around loyalty of bots. This is a direct way to crash. If you install scripts for texts duplication to increase page indexation, your website will be filtered by search engines. The same situation could and will happen, if you duplicate codes. When you optimize your web page, you should be driven by interests of your visitors and their preferences. All installed software should help users to find your website. If your optimization is concentrated around bots actions, your potential audience will be bots and they will bring you not benefit, but punishment. To attract real visitors and increase web page ranking, you should install software, optimized for your audience. All pages should have keywords that correspond to their themes. If you use incorrect keywords, you will attract attention of Google “animals”. The page addresses should be clear for users and correspond to site theme. Pay attention on HTML codes. All of them should be correct and valid. If you have invalid pages, you must fix or delete them. Actually, removal is bad sign for search engines that could produce negative reflection on websites ranking. The reason is search results. All the invalid links also stay in Google. Following this link, user get page crashed and disconnected. This fast and logical reaction downgrades web page ranking in Google. Successful content is a combination of creativity and new Internet technologies. Perfect websites materials should be oriented for audience and correspond to bots demand. How to make this happened? First of all, you must define interests of your potential visitors. This is a right way to attract good traffic. You need to help users to find your web resource. To be visible and available, use SEO tricks; don’t forget to be productive and effective, make right and consistence steps. Keywords is a very good tool for Internet marketing. Using of keywords is very beneficial, but be careful, you can get ban from the search engines. How to avoid Google alarm? Further, we open some simple regulation for correct keywords using. The first thing that Google search shows to users is an article title. If this title includes keywords, search systems find this link faster, and web page has a big chance to get high positions. 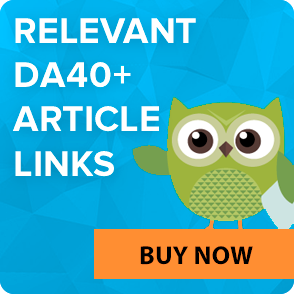 Your resource will have benefit, if article description has keywords or keyphrase. Inside of text body should be some keys. This concept doesn’t work, if keywords and keyphrases do not fit to the article theme. All keys must be natural and logical, other way this web page could get to the ban. This is quite easy to explain: if text has inopportune keywords, the material doesn’t satisfy the search request, sent by user. Spam list also waits for you, if your article is spammed with keys. Don’t flood with keywords: if you want to be successful and legitimate, your promotion actions should be proper. And other additional features to website profile. To get more clicks inside web page and to attract users’ attention, paste interlinks in your articles. Place them under anchor text, which must correspond to the theme of added link. Do not repeat the same link twice in one text. Also, all the pages must have an original content. If you copy materials from other web resources, you’ll never get good page ranking and trusted status. Plagiarism is illegal, that’s why all the websites strive to create unique and useful content. Good-quality content must have more than 90% of originality. These demands are valid not only for texts, but also for pictures and videos. Meta-tags are HTML tags, designed for meta-data structuring. There are many groups and kinds of meta-tags. Further, we describe some basic and important meta-tags that helpful for web page promotion. The general meta-tag that affect on page indexation and ranking in search engines is title. This tag should include web page name. Title is very important information for Google robots. Correct title for on-page SEO should have 70 – 125 characters. Do not repeat the same keyword many times in one title. You can use one key in one tag. Other way, search engines will identify it as a spam. Meta-tag description receives positive reflection on CTR (number of visitors). Description is also visible in Google search results. This tag must have keywords for effective promotion. Both meta-tags and keywords are helpful for website ranking. All the pages of your resource should include these meta-tags. Fighting for the best place in Google, all the legal methods are useful and notable. Bold/strong fonts in tag is an old and well proven trick. Search robots pay attention to bold outlined phrases. But do not overuse this trick, as it will look like a spam. Pictures optimization is also highly recommended. Search systems have special directory with photos and pictures. If your pictures optimized well, you will have eventually more links on the Internet and more visitors’ traffic. To optimize pictures, use ALT tag. After this you will have possibility to write title and description with keywords for all the pics on your website. Tag H1 attracts attention of search engines to title. This tag could be posted inside name of all resource pages. One of the factors that can increase CTR number is microdata. 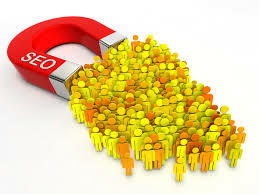 As for the snippets, they will not boost your resource in ranking, but they will attract users’ attention. As a result, website will receive more clicks. Snipped is very brief description of the page, or material. It’s visible in search results and may serve as a search request. This is just a little code fragment. Web developers use snippets to avoid code repeats. To receive more clicks on web page, paste more interlinks. It also presents more services to your visitors. You can paste interlinks not only inside textual content, but also in website columns. If we talk about information portal, for this kind of web resource “recommended materials” is very useful feature. This information should be placed in the right or left column. You can recommend your visitors not only topic articles, but also fresh videos, pictures, forum themes etc. Virtual shops can use these places for announcement of new products. On the top of the web page, paste a banner with announcement of actions. Social networks are very important tool for promotion. You can find this instrument in all strategies of internet marketing. Tweets, likes and pluses influence on web page ranking in search systems. So, don’t forget to share these links with your visitors. To get more effectivity, paste your SN links on your website. We recommend to place buttons with SN interlinks in right column of your website. This information should be visible on all the pages of your resource. Described points of on-page SEO checklist are very helpful for creating website. But if you already have made web resource without optimization, then at least you should provide your page with deep analysis. On the Internet, you can find many various services for analyzing inner website optimization. It will provide you with detailed data about inner optimization features. These services analyze not only content, but also web page core, codes, tags etc. This information will help you to promote your resource and get top SEs positions in short time. If you have no clue about features of your website inner optimization, it could significantly slow down your page development and promotion. To avoid negative scenario of your promotion, analyze on-page website optimization. If you have never done it before, we recommend you to appeal to professional services. As many webmasters claim, the best analyzing and developing service is LinksManagement. This company presents high quality help for affordable price. LinksManagement creates on-page SEO checklist 2018 for websites projects. Effective actions and operative information is the credo. Do not forget – inner optimization is a pledge of success for your website and company. This is a reason why you always need to control functions and usability of your site. To maintain it, we recommend you to use special tools for webmasters. Read more about them more in other articles on our website.